Originally inhabited by nomadic Ute Indian tribes, this area of bubbling hot springs has long been a destination for the health seeker. In the early 1880’s, James Landis homesteaded the confluence of the Roaring Fork and Grand Rivers that would become Glenwood Springs. Early settlers Isaac Cooper and Walter Devereux saw the potential for Glenwood Springs to become a highly regarded destination and developed these amenities into a world-class resort. The arrival of the railroads in 1887 brought the first trainloads of tourists to enjoy all that Glenwood had to offer. The addition of the Vapor Caves, Hotel Colorado and Fairy Caves provided a total package for travelers. The local economy was not only fueled by tourism but also by coal mining, farming and ranching, commerce and outdoor recreation. 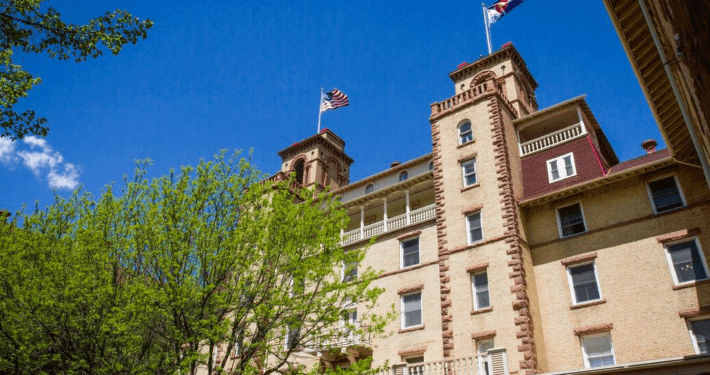 A visit to historic Glenwood Springs will take guests back in time to enjoy all of the amenities that were formerly reserved for the well-to-do.